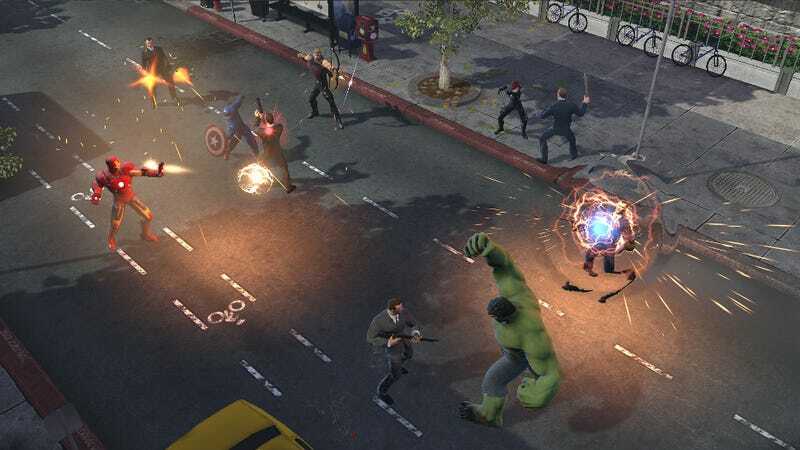 Diablo-like super hero MMO Marvel Heroes is having launch troubles. Namely, the game not being ready to launch yet. Early access players found that they were unable to log in, even though it was seven days before launch day—the advertised date Ultimate Pack buyers would have been able to start playing. On their blog, the developers confirmed that a few serious bugs had to be fixed before anyone could play. Later, they posted on their Facebook page, saying that they're making progress, and recently tweeted that they are still working, and are "committed to going live tonight." We're keeping an eye on the game, and will update this post should there be any further progress. UPDATE: The developers have tweeted that the game is now live for early access players. Close one! UPDATE #2: Unfortunately, the servers had to be brought offline again due to "access issues." No ETA on a fix. UPDATE #3: They're back online.